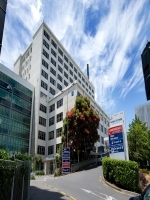 The Department of Psychological Medicine is located on level 12 of the support building at Auckland City Hospital. A division of the department is based in the Clinical School at Waikato Hospital. Psychiatrists from the department provide clinical service in different sites across Auckland City including a number of community mental health centres and clinical teachers in psychiatry are located in mental health services across the upper half of the North Island. The Werry Centre for Infant, Child and Adolescent Mental Health is located both at Auckland City Hospital and the Tamaki Campus of the University. There is also a branch at Christchurch. 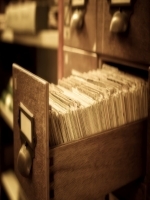 The Department of Psychiatry was founded in 1970. A local psychiatrist Dr Roger Culpan provided leadership for the first 8 months until the arrival of Professor John Werry as foundation chair in psychiatry. Professor Werry’s original goals for the department were to establish psychiatry as a medical speciality with a scientific base, to establish a department with intellectual and scientific vigour and for the department to be regarded within the rest of the Medical School as good colleagues particularly in supporting the position of the basic medical sciences. Professor Werry attracted a number of academic psychiatrists to the department including Dr Bill McLeod, Dr (now Professor) James Wright and Dr Bob Large as well as psychologists John Raeburn and Michael Aman from North America. Michael Aman the first PhD student in the department, is now Professor of Psychology and Psychiatry at Ohio State University. Professor Werry also succeeded in getting one of the first departmental computers (an Apple PDP8E, 8K RAM of storage worth $28,000.00). This turned out to be not only a forward looking purchase but one that gave great assistance to all researchers in the School. In 1984 staff from the Department of Psychology who had been involved in teaching behavioural science to medical undergraduates joined the department which was then renamed the Department of Psychiatry and Behavioural Science. With a re-organisation of the faculty structure in 2002 a number of the behavioural scientists shifted to the newly formed School of Population Health, clustering as a discipline of Applied Behavioural Science. Other psychologists remained within the School of Medicine as a department of Health Psychology under the leadership of Professor Keith Petrie. In 2005 Health Psychology reintegrated with Psychiatry forming the Department of Psychological Medicine. 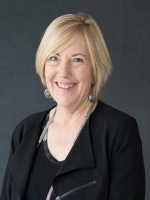 The current HOD is Professor Sally Merry, a child and adolescent psychiatrist. Today the department is one of the largest in the School of Medicine. There are 28 academic staff 3 Professors, 5 Associate Professors, 10 Senior Lecturers, 3 Lecturers, 3 Professional Teaching Fellows, 1 Senior Research Fellow, 1 Research Fellow, 1 Post Doctoral Student and 1 Fellow in Child & Adolescent Mental Health.The clinical psychiatry staff have clinical appointments of varying size (0.5 to 0.3) with local district health boards. In addition there are a number of staff (1.1 FTE equivalents) employed primarily as buy-backs from local clinical services to provide specific teaching input. The Werry Centre for infant, child and adolescent mental health was named after the foundation chair in Psychiatry and is located both at Auckland City Hospital and the Tamaki Campus of the University. Research in the department crosses a wide range reflecting the diverse interests of faculty members - from psychopharmacology to the ethics of end of life care. The Health Psychology group are internationally recognised and research in Child and Adolescent Mental Health and the contribution of the Werry Centre to the advancement of the mental healthcare of children and adolescents widely acknowledged. There is an active postgraduate research programme with 27 PhD students currently enrolled as well as 29 Masters students . Students graduating from the Masters in Health Psychology programme may proceed into a clinically focussed Post Graduate diploma that prepares graduates for work in healthcare settings. The department carries a substantial teaching load in every year of the undergraduate medical programme, with the exception of the 4th (first clinical) year. This includes a large first year course in Behaviour Health and Development that is a pre-requisite for students entering other undergraduate health professional programmes in the faculty and teaching of Professional and Clinical Skills in the first two years of medicine. The department also teaches in medical ethics and the Medical Humanities . Besides the PG research programmes the department also offers Post Graduated Diploma in Health Psychology programme (currently 13 enrolled), Certificate in Health Sciences in Child & Adolescent Mental Health (currently 39 enrolled) and Diploma in Child & Adolescent Mental Health programme (Currently 11 enrolled). Professor Werry is a third generation New Zealander and spent his early years in Southland, Ashburton and Dannevirke attending local schools there. His parents were school teachers and his maternal grandfather a doctor in Reefton. 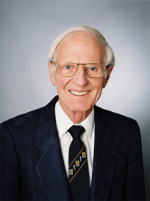 He graduated in medicine at Otago University Medical School in 1957 and studied psychiatry specialising in child and adolescent psychiatry at McGill Montreal where he graduated with distinction. He worked at the Montreal Children Hospital and then the University of Illinois. In 1970 when he was head of the Institute for Juvenile Research in Chicago, he was appointed the first Professor and Head of the Psychiatry Department at the University of Auckland Medical School. He has nearly 200 publications and edited books in child and adolescent psychiatry doing some of the earliest research on ADHD, Conduct Disorder, early onset Schizophrenia, Bipolar Disorder and paediatric psychopharmacology. He has lectured widely overseas and in NZ and has been a consultant to government organisations here and in the US. He is frequently consulted by print and other media in NZ. He worked at the Starship Children’s Hospital helping to establish the first inpatient unit for children and adolescents. Prof Werry retired from the University in 1991 and since has devoted his time to starting and assisting a wide variety of mental health services for children and adolescents in a wide variety of places in NZ and advocating for proper mental health services for children and adolescents including a Centre of Child and Adolescent Mental Health. In the last few years he has devoted his time mainly to the most disadvantaged children and youth in NZ. He believes that those who have the most complex problems in mental health deserve the best doctors and that those who have good luck incur an obligation to help those who have bad luck. He is a cofounder of the Youth Horizons Trust for youth with severe behaviour problems. He has worked as a visiting consultant to the Eastern Bay of Plenty, Tairawhiti and Counties Manukau District Health Boards and the Ngati Porou Hauora. He has five children and 12 grandchildren. His interests outside medicine are gardening, beekeeping, sailing, NZ History, and watching rugby and cricket. He is married to Dianne Moya Moffitt a school teacher.